Manchester United set to sign Lichtsteiner Manchester United are weighing up a move for Juventus defender Stephan Lichtsteiner, according to Daily Express. Manchester United are weighing up a move for Juventus defender Stephan Lichtsteiner, according to Daily Express. 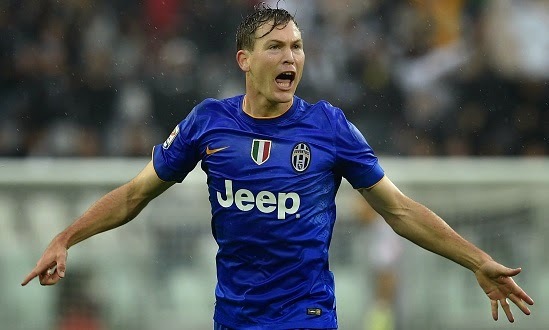 The reports revealed that Louis van Gaal is ready to win the race for Juventus defender Stephan Lichtsteiner. The 30-year-old who is having a fine season in Turin has rejected to sign a new deal at Juventus. He is eyeing a move to Premier League, according to reports. Juventus will not block Lichtsteiner’s move and will sell him very cheap as he will be out of contract at the end of the season. The Swiss right-back who has won three Italian League titles has netted two goals and assisted four times in Serie A this season. It would be a great addition for Manchester United squad as he is capable of playing as a right-wing back which would be a great option for van Gaal in his 3-5-2 formation. Lichtsteiner has been a regular player since his move from Lazio in 2011. He has made more than 100 appearances for Juventus. On the other side, Manchester United are planning for €35million bid for Benfica attacker Nicolas Gaitan. Reports have revealed that Angel di Maria has told boss LVG to sign Gaitan from Benfica.